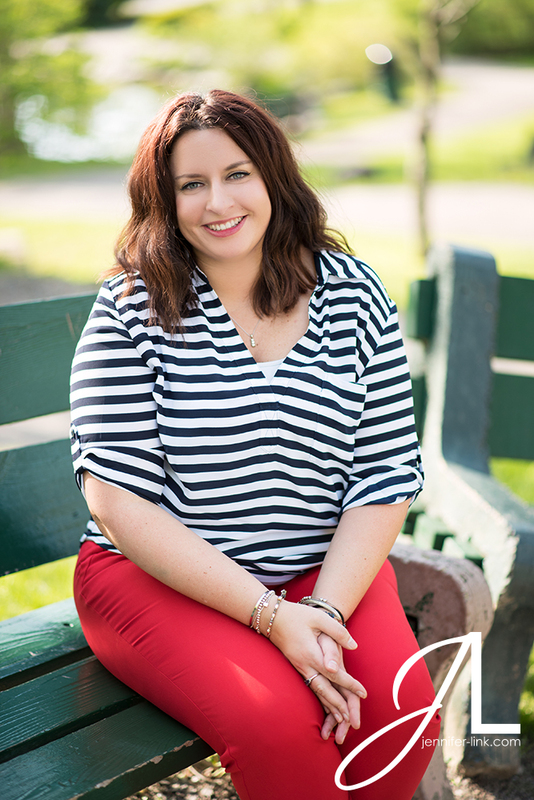 Buffalo based counselor Ashley Schimenti has been growing her business and wanted portraits for her new website. We did a Branding Portrait Session that reflected her professionalism and calming personality. Her goals are to have her clients be, “heard, respected, and treated with compassion,” and to help her clients, “take that first step towards having the life they want.” We wanted her portraits to reflect that. We did some portraits at her office and some at the nearby Glen Park in Williamsville a suburb of Buffalo, New York. We had a fun and relaxing shoot and some great results! Fashion stylist and Auxiliary Magazine contributor Shannon Kramp needed new and fresh portraits to use for promotion but in lieu of a straight up portrait session we opted for a Branding Lifestyle Session. A lifestyle session allowed us to showcase the many aspects of being a fashion stylist and the many ways she explores her creativity. I structured the session around a day in her life. We started at Atomic Barbershop and Salon in Tonawanda a suburb of Buffalo, New York. 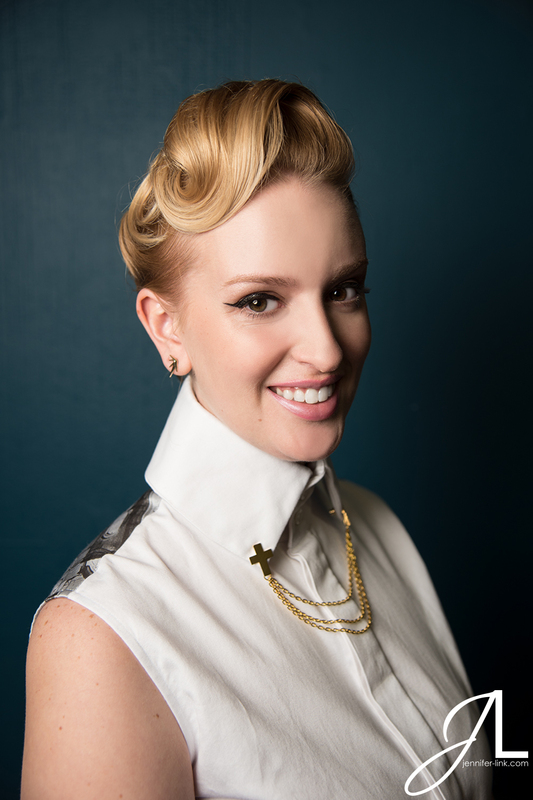 There Shannon had her hair and makeup done by stylist Lauren Ashley and I was able to capture the process. After a morning at the salon we went a bit down the street to the retro and pinup boutique Cats Like Us. Cats Like Us is a favorite spot for Shannon to shop and make pulls for fashion editorials and photoshoots. Throughout the session I utilized the available unique locations to take some portraits. It all made for a nice collection of photos! 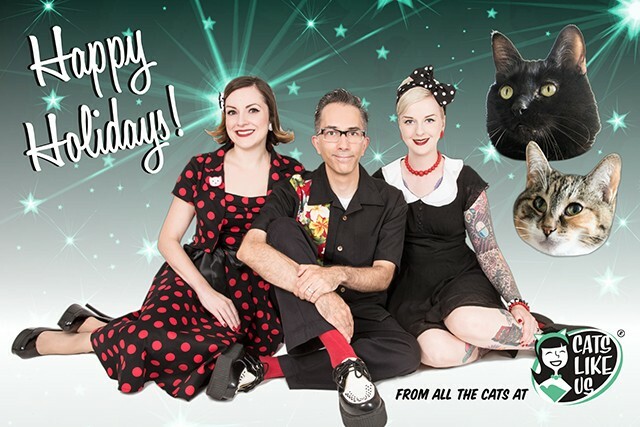 The team at Cats Like Us came to me with the idea to do a take on the “awkward family photo” for their holiday postcard. We did a shoot in my studio with the shop owners Julie Ann and Andrew and their sales associate Meagan but since the store is called Cats Like Us, the cats had to be involved too! I had photographed them before and they did not enjoy the experience. So to make things easier on them I came over to Julie Ann and Andrew’s house to photograph their cats as they lounged around their home. Since all we needed were good shots of their cute faces, this approach worked well! I’ve been busy, so haven’t been blogging as much as I should! Will be posting the highlights of this year over the next few weeks. I shot these vintage car advertisements for clothing boutique Cats Like Us this past spring. The weather was still a bit brisk but we made it a fun day and traveled to two locations. The shots taken at the second location were extra fun as they were in conjunction with Sourpuss Clothing and wickedly playful. Tiki themed advertisements take two! 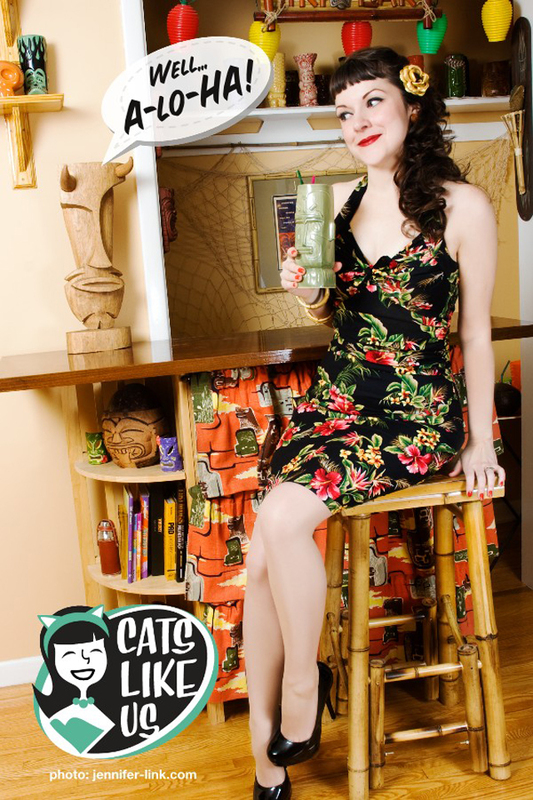 A couple years ago I worked with clothing boutique Cats Like Us to shoot a tiki themed series of photos for print and online advertisements, this past year we revisited the theme at a new tiki bar. I love the cute and playful advertisements they put together with these photos.